It’s Presidents Day and Chicago-based Groupon has some celebrating to do. In fact, this year they are celebrating that well-known president Alexander Hamilton. 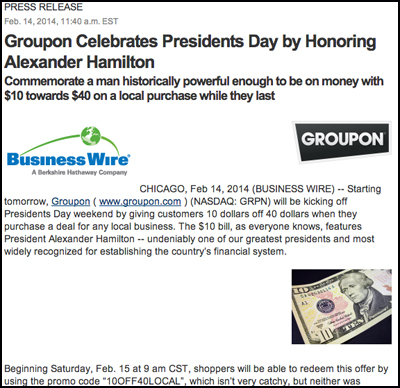 Groupon made the announcement of their Presidents Day honoree in a February 14 press release. Of course, anyone with a fifth grade education knows that Alexander Hamilton was never elected to the Presidency. He wanted to be, no doubt, but he ran into a smear campaign over a sexual indiscretion he engaged in that became a major embarrassment to him. 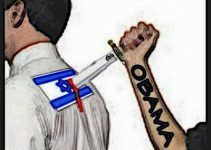 Ultimately he got shot by Vice President Aaron Burr in a duel over a slight. But he was never a president quite despite what Groupon thought. Once again we can thank our liberal education establishment for educating America.